"In 2011, we announced the retirement of Google Friend Connect for all non-Blogger sites. We made an exception for Blogger to give readers an easy way to follow blogs using a variety of accounts. Yet over time, we’ve seen that most people sign into Friend Connect with a Google Account. So, in an effort to streamline, in the next few weeks we’ll be making some changes that will eventually require readers to have a Google Account to sign into Friend Connect and follow blogs. We know how important followers are to all bloggers, but we believe this change will improve the experience for both you and your readers." In light of this, if you previously followed my blog using another service and want to continue following, google won't let you, but there other ways. Bloglovin works well for me. You can also like my author page on facebook or friend me through goodreads. (links in sidebar.) I'll post direct links to reviews from there. Thank you to my followers for sticking with my blog! Usually the nonfiction I read is informative and interesting, but very rarely do I consider it fun. However, my most recent non-fiction read was pure entertainment. It Ended Badly. 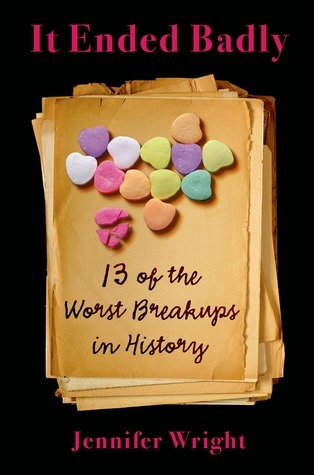 13 of the Worst Breakups in History by Jennifer Wright is a clever, somewhat tongue-in-cheek look at thirteen couples (with some additional players) whose relationships fell apart in spectacular ways. Some of the choices for inclusion were obvious: Eleanor of Aquitaine and Henry II; Henry VIII and Anne Boleyn and Catherine Howard; Lord Byron and Caroline Lamb; Edith Wharton and Morton Fullerton; Elizabeth Taylor and Eddie Fisher and Debbie Reynolds. But others I’d never heard of: Anna Ivanona; Timothy Dexter; Oskar Kokoschka and Alma Mahler; and more. The stories range from horrifying (Nero) or horrible (Norman Mailer) to sad (Oscar Wilde) to bizarre (Oskar Kokoschka). Wright’s enthusiasm for the subject, her upbeat insights, and her amusing asides make this fast-moving book about failed love thoroughly enjoyable. I won this book from goodreads! This did not influence my review. 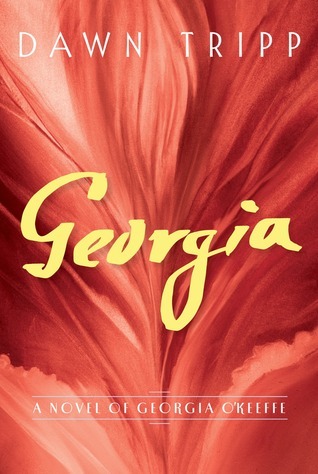 Receiving an ARC of the novel Georgia by Dawn Tripp from goodreads did not influence my review, but it did lead me to read the book sooner than I might have done otherwise. I love biographical novels about exquisitely talented people, but I generally prefer reading about literary figures rather than artists or musicians. Nevertheless, Georgia O’Keeffe’s work is intriguing and the blurb hinted at a fascinating life, so I settled in to see what I could learn about the artist. This novel was so much more than I expected. Georgia is narrated in O’Keeffe’s voice, an older woman, looking back on her life. Most specifically, she looks back on the part of her life that she spent with the acclaimed photographer and art connoisseur/manager, Alfred Stieglitz. Their passionate love affair was consuming, but not all-consuming. It shaped the art that both produced, yet it was devotion to their separate artistic visions that sustained them as individuals. Georgia narrates the course of the relationship with painful emotional intensity and with a somewhat wistful clarity that comes with hindsight. Georgia O’Keeffe was a small-college art teacher in Texas, whose charcoal drawings, sent to a friend in New York, caught the eye of Stieglitz, who owned and ran a gallery in the city. He was well known, not only for his own brilliant photography, but for his support of artists he believed in. His praise of her early drawings brought her to New York. An immediate attraction formed. Stieglitz was, unfortunately, married. It took a little time and effort to ditch his first wife so he could devote himself to Georgia—her career and her person. Older, established, and manipulative in ways that seemed subtle at first but then became obvious, Stiegliz loved Georgia’s freeness, while at the same time, he sought to control her. Georgia’s need to paint, to be free to create while someone else handled the business end of her career, put her more and more under his direction. That didn’t mean their love was any less real or important. But over time, she began to see that she needed to break free of him in order to have her own life back for herself and her art. This is a beautiful novel, showing a love that flames and then runs its course as betrayals and one-sided sacrifices take their toll. And it’s a beautiful homage to the brilliance of Georgia O’Keeffe. 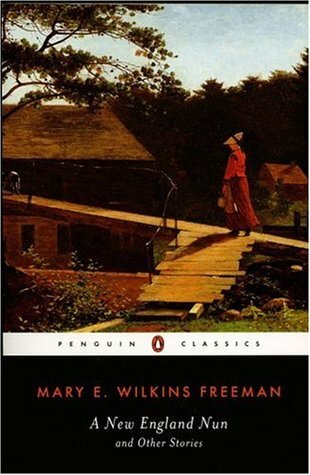 Mary E. Wilkins Freeman was a very popular "regionalist" author in the late 19th century, writing short stories and novels set in small town New England. They deal with domestic situations and the subdued romances of the times and place. A New England Nun and Other Stories is one of her best known collections. In the title story and in others, she explores the idea of spinsterhood, showing that the strong, self-sufficient women are not to be pitied. Other stories look at marriage, at sibling relationships, and at error and redemption. The settings give a wonderful sense of the homes, streets, shops, and farms. Her characters represent the stoic, warm but reserved old New England stock. Like most short story collections, you won’t find many happy endings, but the stories are poignant rather than tragic. Every once in a while, I dip my toe into the ocean of the history of medicine. Health and Wellness in 19th-century America by John C. Waller is part of the Health and Wellness in Daily Life series published by Greenwood. 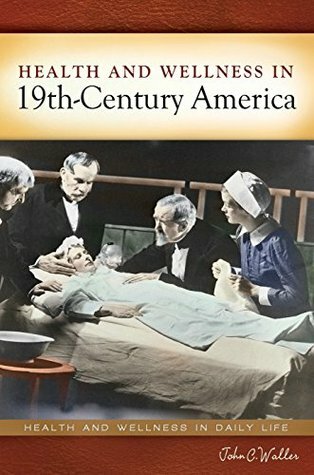 Although I think I would find their Health and Wellness in Antiquity through the Middle Ages more interesting, I went with 19th-century America because it’s a time of great change, encompassing the birth of modern medicine. This book takes a broad view of the subject, looking at the roles of environment, education and training, faith and religion’s overlap with medicine in healing, the health of women, children and infants, infectious diseases, occupational hazards, war, the rise of commercial pharmaceuticals, the changing place of hospitals, and a host of other topics. The differences in medical care for rich and poor, and between white, black, and Native American populations are also pointed out each step of the way. There is a fair amount of repetition from chapter to chapter, but this is helpful if you are particularly interested in one or a few of the topics but not in the whole book. As is typical in such sweeping introductory books, it conveys a lot of information but broadly, without a whole lot of depth. I found a few things I would like to know more about, so this is a great jumping off point. After I delve into a couple of the topics, I may go locate a copy of the Antiquity through Middle Ages volume. I’m working on that library book pile! 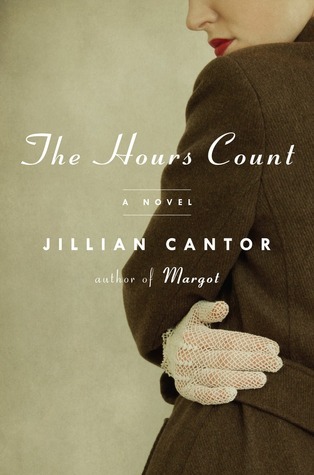 The Hours Count by Jillian Cantor caught my attention with its jacket copy: "On June 19, 1953, Ethel and Julius Rosenberg were executed for conspiring to commit espionage. The day Ethel was arrested, in 1950, she left her two young sons with a neighbor and never came home to them again. Brilliantly melding fact and fiction, Jillian Cantor reimagines this story through the life of a fictional neighbor, Millie Stein, who grows close to the Rosenbergs. . ."
The 1950's never seemed all that interesting to me before, but maybe as the decade is becoming more historical and less recent past, I’m starting to wonder more about events that took place during those years. The Rosenberg trial is particularly fascinating, so I had great hopes for this book. The story is really about Millie. A lonely, frightened, young Jewish woman who married the wrong man for all the wrong reasons, Millie is the mother of an autistic toddler. Back then, the diagnosis was obscure and treatment options were nonexistent. Davey is not talking, and the doctor Millie takes him to see blames his oddness on Millie. If she were not a bad mother, if she expressed her love better, Davey would be normal. Throughout the course of the book, it is made clear how ridiculous this doctor is, yet how pervasive such views are. Millie meets another young mother in her apartment complex. Ethel Rosenberg also has a troubled son, though it’s less clear what is wrong with John. None of the other children want to play with him either, and Ethel is also isolated, but not to the extent that Millie is. Ethel has a loving, supportive husband, while Millie’s husband, Ed, is a grim, sulking, vodka-swilling Russian who only married her, really, to get sons. Ed is disappointed with the child he has; in fact, he pretends Davey doesn’t exist, and puts continuous pressure on Millie to give him a normal son. So, when Millie meets a handsome, kind, gentle psychotherapist at a rare party at the Rosenbergs’, and this man, Dr. Jake Gold, offers to help with Davey for free--in exchange for permission to use the results in a paper he’s working on--Millie can’t help but say yes. Ed would never approve, so she keeps it secret. Millie keeps a lot secret from Ed, but he keeps secrets from her, too. Millie’s sole friends are Jake and Ethel, and the two of them don’t get along. Millie’s difficulties in her marriage, her difficulties with her son, and her growing attraction for Jake form the core of the story. She and Ethel interact and help one another out with child care, but I never got the sense that their friendship was that deep. They didn’t actually know each other very well. Things fall apart for Ethel and Julius. It’s no spoiler to say the two are arrested for selling atomic secrets to Russia. Millie, who is tarred with guilt by association, manages to stay clear but at great cost to herself. The book’s focus is so strongly on Millie and her confusion that it feels as though the Rosenbergs are peripheral to the story rather than central. Overall, it’s a fine romantic adventure, full of secrets, mystery, and some suspense, but for me, it didn’t accomplish what I had hoped to get out of the book, which was more of a picture of what the Rosenbergs went through. A whole slew of library books on hold all became available at the same time. I’m going to try to put a dent in the pile. 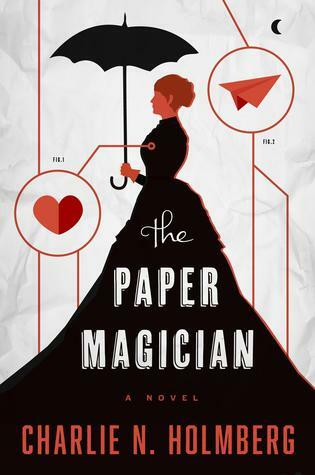 The Paper Magician by Charlie N. Holmberg is a fast-paced magical adventure. Ceony Twill has just graduated from magic school and has to start her apprenticeship. In this London-based fantasy world, magicians have to pick the man-made element that they will be "bonded" to. In the future, any magic they perform will have to use that medium. Ceony had wanted to be a Smelter and work magic with metal. Unfortunately, there is a shortage of Folders, magicians who use paper, and so she is assigned, against her wishes, to the tutelage of Magician Thane, a Master Folder. Just as Ceony is becoming intrigued by the intricacies of paper magic, and a bit intrigued by her strange, kind, and somewhat mysterious teacher, things rapidly go downhill. Thane is somehow involved with the special force of magicians who hunt down Excisioners, practicers of dark magic, whose chosen medium is flesh. In the midst of one of Ceony’s lessons, an Excisioner bursts into Thane’s house and, before Ceony’s eyes, rips out Thane’s heart and carries it off. Ceony, not yet fully trained but apparently extraordinarily gifted, sets off after the Excisioner. The two battle over and in Thane’s heart. If she is not quick, Thane will die. If she fails, they will both die. The premise of this book seemed very original, even if some of the parts of it felt a bit derivative. It took me a couple of chapters to be drawn in, because the characters didn’t have much of a spark for me, but the chapters moved quickly enough that I kept thinking "well, one more." And then I was well into the book and wanted to see how they worked through to the ending. It’s a fun read, and the idea of magicians bonding to one particular medium was a nice twist. But I wasn’t pulled into the world enough to move on to the next book in the series. 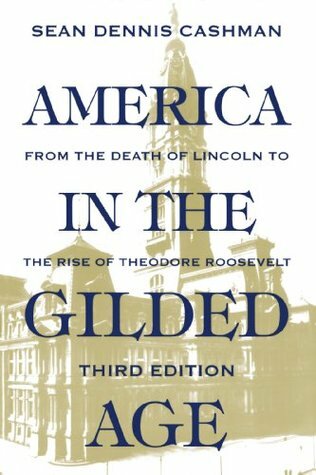 My first nonfiction book of 2016 is America in the Gilded Age: From the Death of Lincoln to the Rise of Theodore Roosevelt by Sean Dennis Cashman (first published in 1984). The book was pretty much what I expected: a fairly straightforward, old-fashioned history, full of names, dates, and events. It’s well-organized and covers a good deal of ground. Because of the way the chapters are broken up, each fairly chronological but each covering the same basic timeframe, there is significant repetition. However, this framework allows the reader to see how events were interwoven. It’s a bit of a drudge to read, despite the anecdotes and jokes peppered throughout, but it gets the history across. If you’re looking for an overview of America’s Gilded Age, this is a good place to start. In the 1940's through the 60's, there was a clique of very wealthy, very beautiful women, primarily based in New York City, who were featured in society columns and magazines and known as socialites and fashion icons. Some came from wealth and others scrabbled their way up, but they all had style to spare, a style they supported by way of wealthy husbands. Into this exclusive band of women entered Truman Capote. They adored him, and he called them his swans. Early on, Truman was a writer with talent and promise, but before he had even really made a name for himself in the literary world, he was able to infiltrate high society. He was flamboyant, charming, entertaining, and a good listener (when he wasn’t hogging the conversation himself.) Because he was gay, the wealthy husbands had no qualms about allowing unfettered access to their wives. Many of the men found him entertaining as well. Although Truman had a gift for making each of the people he interacted with feel that they were special to him, he had a particularly strong friendship with the recognized queen of New York, Babe Paley. Married to CBS tycoon Bill Paley, she had fabulous wealth and, more importantly, fabulous taste. (I found it an interesting tidbit that she was the daughter of Harvey Cushing, a pioneering brain surgeon.) Universally admired, she and Truman became the closest of friends, and she was one of his greatest champions. The novel opens in the aftermath of the publication of a short story in Esquire in which Truman Capote uses gossip collected from his swans over many years as the basis for an exposé of high society. In this story, he very thinly disguises the people he claimed were his friends, and lays their secrets bare. Needless to say, they are not amused. The thing that shocks them all the most is that a large part of the story focuses on exposing the very private difficulties of the woman he supposedly cared for the most: Babe Paley. Truman is about to learn (or relearn) what it means to be a social pariah. 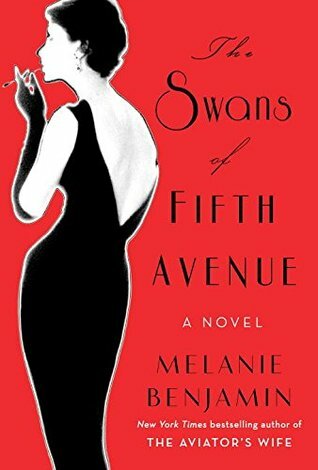 Melanie Benjamin’s novel takes the reader back and forth through time to witness Truman Capote’s rise and fall. Through a combination of the characters’ thoughts and their voracious gossiping, the lives of many of the glamorous and famous people of the times are presented in intimate detail. If you ever may have imagined that lifestyle to be appealing, this book will assure you that it is not. I’m starting off the new year with a historical novel! Also, it was a library book so I’m kicking off two challenges with one book. I’ve seen many novels authored by C.J. Sansom over the years, but had yet to read one. Since I’ve been reading more historical mysteries/thrillers recently, I decided it was time to give this author a try. I started with Dissolution. A Novel of Tudor England. This is a dark book that plunges the reader into a world torn apart by the machinations of King Henry VIII and his able henchman, Lord Cromwell. Henry needs money and property to bind men to him, and Cromwell needs to consolidate his position of power, no matter the means. Although ostensibly a reformer (anti-papist, anti-Catholic), any ideals Cromwell may once have possessed have been stripped from him in the pursuit of his goals. The hunchbacked lawyer, Matthew Shardlake, is one of Cromwell’s men. Shardlake is an avid reformer, with reasons of his own for turning against the Church. However, Shardlake is sincere in his zeal for reform. He understands that the country must go through a difficult time, but he believes a more ideal society will emerge at the end of it all. He believes the king and Cromwell will be just and fair, eventually, and that the common people will be better off. He believes this despite all evidence to the contrary. Shardlake is sent to the monastery at Scarnsea, a once powerful house that has been diminished by the recent travails and by reports of corruption and sexual misconduct. Cromwell wants the abbey dissolved, but he wants the monks to voluntarily agree to this. He previously sent a commissioner named Singleton to pressure the monks, but word came from Singleton’s assistant that the commissioner was foully murdered. Shardlake is sent in to discover the murderer, clean up the mess, and get the abbey to fold. Shardlake reluctantly sets off for Scarnsea, his handsome young ward Mark in tow. Although indebted to Shardlake, and generally deferential, Mark has a mind of his own. He sees things for what they are and is not as invested in reform as Shardlake is. The abbey is a mess. The longer they stay, the more complex the riddle. Too many of the monks have reason to wish Singleton dead, and now Shardlake, too. But there is no proof of anything. And then, the murders multiply. It’s a complicated case and Cromwell is not a patient man. 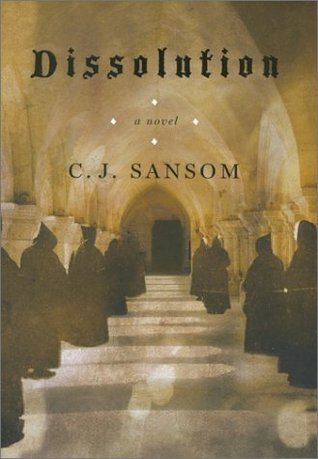 Dissolution provides a satisfying murder mystery, but there is more to the story than the murder plot. Shardlake is a flawed but sympathetic character, who is forced to examine his own motives and that of the movement he so strongly believes in as he comes face to face with the horrible consequences of Cromwell’s reform. Solving the murder is the least of Shardlake’s problems. This was book one of this series, and I’m sure I’ll be back for more. My favorite challenge is the historical fiction challenge, now hosted at Passages to the Past. To join the challenge you only need to make a post about it, add your link in Mr. Linky at Passages to the Past or just leave a link to your blog if you are not yet ready to post about it yet. The challenge runs from January 1st to December 31st, 2016. I'll be joining at the Ancient History level (25 books) but unofficially seeing if I can reach 50.